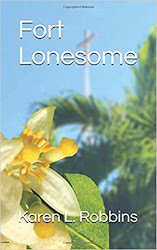 If you have ever traveled down into Florida where mangroves populate the coastal regions, you have probably noticed large nests on utility poles. Those nests belong to the osprey commonly known as the fish hawk. 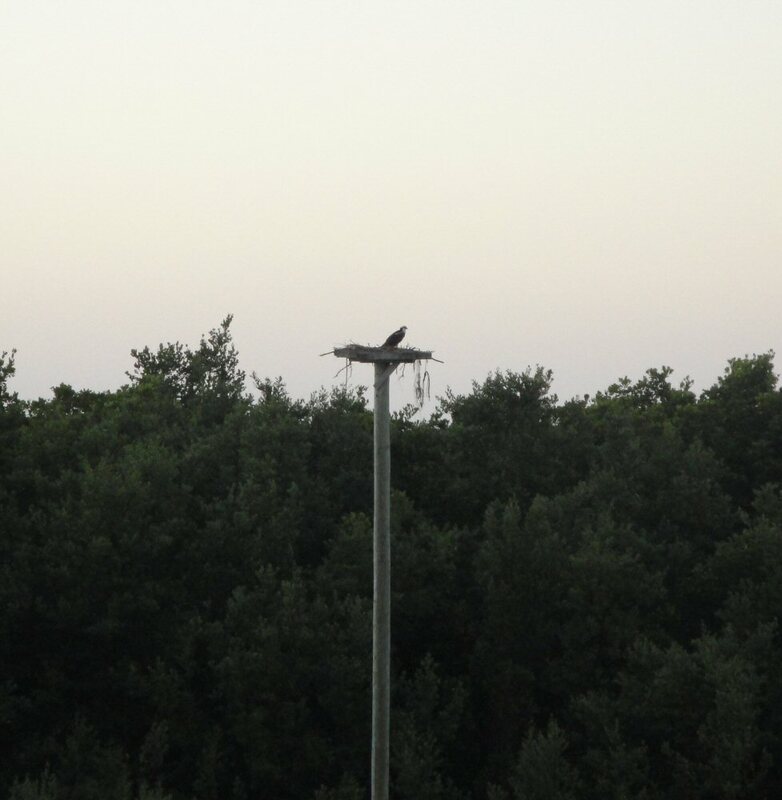 Just outside our rented condo’s window is a large osprey nest on the top of a pole with a platform erected just for the ospreys. It is in the middle of a large grove of mangrove trees, the preferred nesting area for the hawk. The birds are large and can reach a wingspan of six feet. The osprey looks a bit like an eagle when flying. The underside of the bird is white but its back is dark brown or black and there is a black stripe that runs across its eye from the bill to the back of the head. The stripe makes its yellow eyes stand out although we haven’t gotten close enough to go eye to eye with the bird. The birds feed mostly on fish and dive from heights of 50 to 150 feet above the water to snag their prey with their outstretched talons. They strike with such speed that at times they may break a wing. 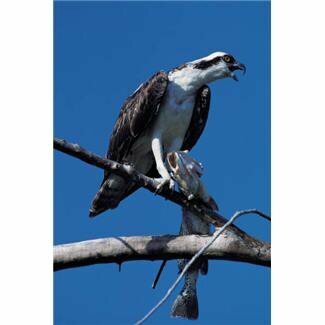 As we were eating lunch one afternoon, I saw the osprey fly by our condo, a good sized fish in its talons. While it didn’t land in the nest, I’m sure there was a great lunch to be had somewhere by an osprey or two or three. The female lays only three eggs which hatch in about thirty-five days and the young can fly after eight to ten weeks. I just wonder how the eggs stay cool enough to not cook sitting out in the nest in the hot Florida sun. Do you suppose there’s a little A/C unit there?